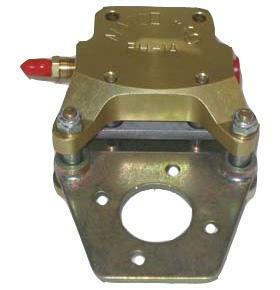 The MATCO mfg WHLB5-4 5 INCH inch brake assembly is designed for use with MATCO mfg wheels. This model uses an Internal caliper design and is designed to be used with the WHLD5 disc. The WHLB5-4 is supplied with BPA1.25 brake plate adapter.